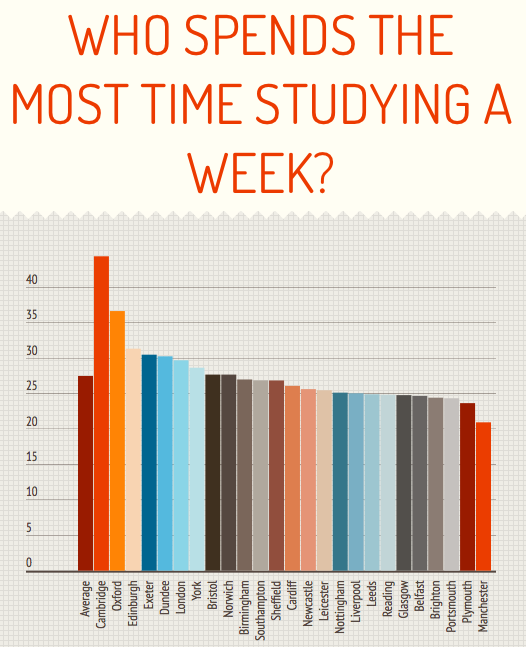 Revealed: Who spends the most time studying per week? Are you top of the swots? Oxbridge nerds spend the most time on uni work every week, while Manchester dossers hardly step foot in the library, according to a new survey. 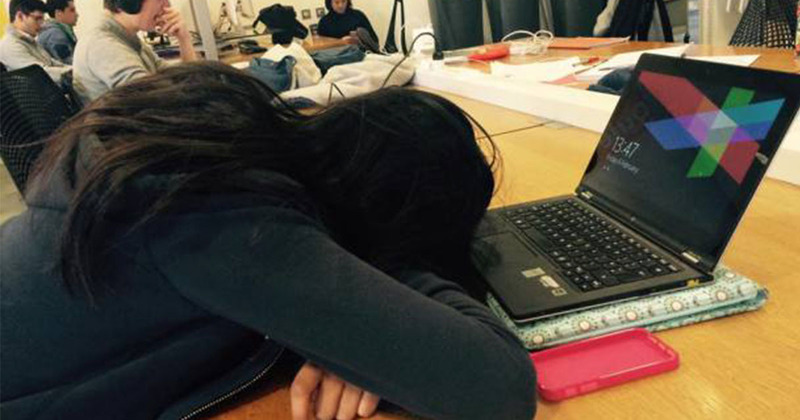 According to the Natwest living stats, students at Leeds and Liverpool are work-shy, but Exeter and York boffins spend nearly 30 hours a week studying. And Cambridge officially work the hardest, spending a staggering 44 hours a week studying compared to second place Oxford’s pitiful 37. In last place are slackers in Manchester, who spend more time gurning than putting the work into uni. Surprise swots Dundee came out as secret library dwellers, spending 30 hours a week studying – which is even more than those at London unis. But it was students in the capital who shelled out the most for course materials. 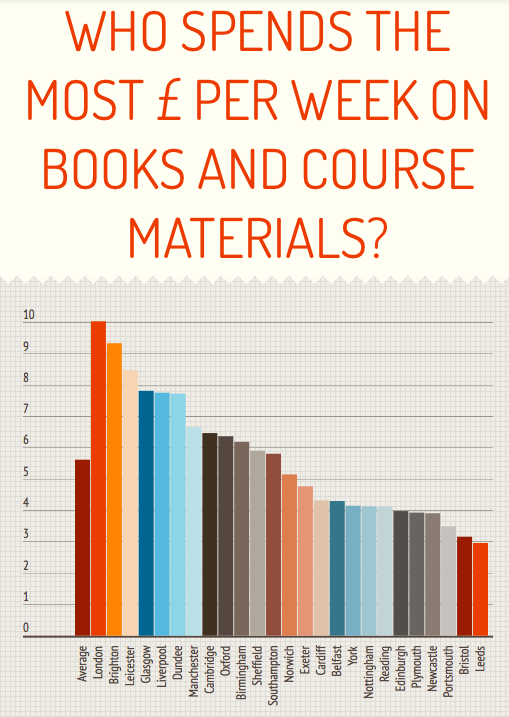 Not only having to put up with higher rent, poor Londoners spend a massive £10 a week on books. And it’s clearly more costly in the south, as Brighton came next with a weekly course cost of £9.34. Thrifty Leeds came out as the cheapest uni for subject costs, as the edgy northerners got away with handing over less than £3 a week on books. Meanwhile Manchester slackers actually have an impressive course spend of £6.66, despite putting in the fewest hours of study. Oxford and Cambridge’s payout was extremely average, with the so-called elite coughing up £6.37 and £6.47 respectively. Overall, the time we spend in the library has dropped by an hour since last year – with most of us studying for 27.5 hours a week compared to 28.7 in 2014. But on the bright side we’ve collectively got more fun away from the books, spending 12.6 hours socialising a week which is half an hour more than last year’s figures.